Now we've had a lot of themes over the years here at Cycle Chic, but we've missed this one until now. 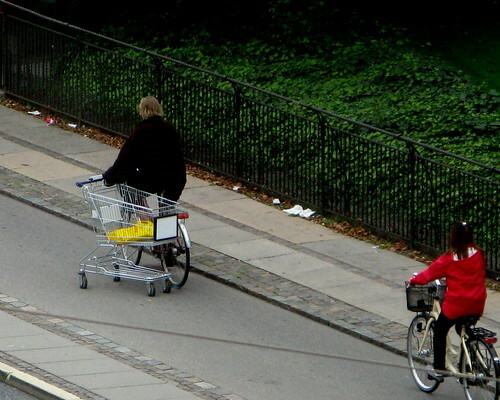 Bicycles and Shopping Trolleys. Together at last. 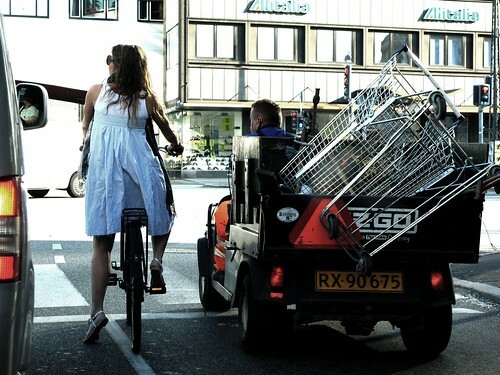 The classic Copenhagen shopping trolley transport form. The bike lanes are wide so that we can share with people in the process of that all important activity - getting beer home. 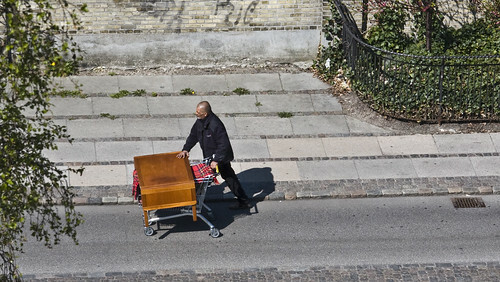 Interesting... so do people have their own shopping carts, or are they returned to the store around the corner? Shopping trolleys are so useful. But I think using a shopping basket is better to budget my shopping (and food intake). Lest I shop like the guy with the beers (ah good times!). the trolleys are returned to the shops.